Over the last few weeks of 2012, when brokerage houses and investment banks were presenting their annual forecasts for the new year, there were timid signs of optimism. It will “not be as bad as expected,” their economists and strategists repeated during presentations. “Global economic growth is expected to pick up steam in the second half of the year, ultimately surprising on the upside,” claimed the economists of Bank of America Merrill Lynch. Nevertheless, uncertainties remain. Will political wrangling over the 2013 budget take the United States over a fiscal cliff? Will the eurozone fracture over the prospect of unending debt bailouts? By contrast, there is consensus on the solid growth prospects of emerging markets, and of the larger economies among them. 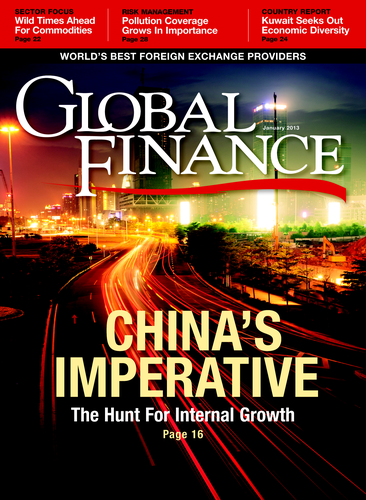 In our cover story, we look beyond current growth patterns at the medium- and long-term trends that will affect the Chinese economy. 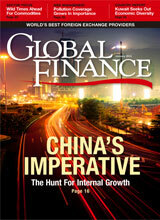 This month we also present a new feature on frontier markets. We’ll be exploring a new frontier-markets country each month as a regular feature. We are not looking for the countries that will be the next BRICs, but rather we choose to focus on economies that stand out in contrast to the global economy. Evaluating growing markets is part of our primary mission, and this column rounds out our coverage of new developing economies.